Why buy or sell cars in an online auction? People buy cars at auction for the simplest reason: used cars often come comparatively cheap. Nowadays, with technology available to most and people’s lives being so busy, more people are moving to online bidding. An online auction provides a great opportunity for anyone looking for a newly purchased vehicle with plenty of cost savings to show for it. 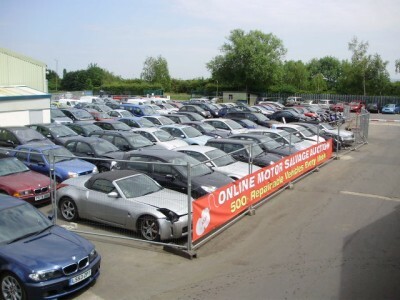 Many public car auctions are populated by traders and dealers of second-hand cars, sourcing their stock at auction to be tidied and deployed for sale across their forecourts. Online, there’s often a wider range of both buyers and sellers as access to the internet is easy and quick – there’s no need to physically appear at an auction or travel extensively. However, be aware that some sellers will have limited car knowledge and may be selling a vehicle that has unseen issues. With the huge number of cars processed every day in the UK, and because auctions are less profitable for sellers – with depreciating cars tending to be naturally limited to lower price ranges – would-be buyers who have done their research have a chance at a genuine bargain. Online auctions can seem a little worrying – how will you know what you’re really buying if you can’t physically see the vehicle beforehand? Here are some tips to help you prepare for an online auction, plus some safety measures you can put in place to make sure you aren’t a victim of fraud. Communicate with the seller. After all, anybody can put an advert on a platform. Speak to them using the site or platforms messaging tool, or if they are local, you could arrange a face to face meeting. However, stay safe and be aware of giving out any personal details online. Check out the seller’s history. There are tools in place on many online auction sites to help you avoid buying from an untrustworthy source. eBay allows buyers to give feedback on sellers and you can learn a lot from other people’s experiences, so check out the seller’s history before you bid. Know what you want. Before thinking about buying anything, it’s essential that you consider the make and model of car you want most. Research common performance metrics and re-sale values for used cars of that specification. Understanding these aspects of your desired vehicle will arm you with the information needed to navigate the fast-paced online auction environment. Don’t make a car your first ever purchase online. Get comfortable with bidding systems that various platforms and sites are using. Try bidding for something smaller first to familiarise yourself with the process. Narrow down your search criteria. This will make sure you aren’t looking for a car that’s too far away if you go to test drive it. You could end up not buying it and have wasted money on the journey. There’s also such a thing as too much choice, you might become overwhelmed and end up bidding for something unsuitable. Be sure that the vehicle actually exists. The seller should be able to send you a copy of the registration and the VIN number so you can check. How do you bid and buy vehicles online? Once you have decided on the vehicle you want and know how the bidding process works, it’s time to start browsing and bidding. Here are some general guidelines to help you navigate the process. Don’t bid on vehicles outside your chosen location. It’s never advisable to buy without first seeing the vehicle, so don’t make life difficult by bidding on a car in Birmingham when you live in London. Set the maximum price you are willing to pay at the outset. Get a feel for realistic prices for a used car by looking at adverts for similar makes and models, or looking at car magazines. Last minute bids can pay off, in fact, many people recommend bidding when there is only a minute left. Bidding early increases the chance that you increase your price to win. If you decide to buy the car, you will usually have to collect and drive it home, so check its tax and insurance. It is illegal to drive without the appropriate car insurance or tax, so don’t get caught out. Inspect and test drive the car. Don’t pay anything until you have seen the car and taken it for a spin. ‘Phantom’ cars (vehicles that don’t exist) do get posted, so don’t fall for it. Verify that the seller is the registered owner of the vehicle and that the log book, or V5 certificate, is correct. You can request information about a vehicle or its registered keeper at gov.uk. You could pay for a vehicle check. The AA runs data checks on used cars to confirm their identity, their accident history, mileage, or if there is any outstanding finance. A vehicle should be described as thoroughly as possible, but remember to ask questions of the seller if something you want to know isn’t there, don’t leave it to chance. What should I look out for in the vehicle’s online description? If you’ve found a car you want to bid on, or if you have begun bidding and spoken to the seller about viewing the car, there are few vital things you should be looking for. The responsibility is yours as a buyer. Simple checks of the engine, electrical systems, bodywork, tyres, and interiors will give you more knowledge of the car’s condition and inform your bidding strategies. Does all the paint on the vehicle match? The state of a car’s paintwork can indicate a lot about its history. Peel back rubber trims, check doors and investigate carpets for signs of a new coat of paint – you might get a surprising insight into the state of the vehicle on offer. A car with panels in multiple different shades, for instance, has likely been in several accidents. A wholly new paint job across the vehicle can indicate it has been recently rebuilt following a significant accident. On the other hand, it is usually safe to assume that small patches of fresh paint are being used to cover only minor scrapes. Be wary of buying a vehicle with uneven tyres or wearing. Uneven wear in the tyres may indicate that alignment settings are incorrect, suggesting a deeper problem with bent suspension (usually resulting from kerbs, bumps and potholes). The state of the vehicle’s interior is an essential thing to consider before agreeing to a purchase. Some dirt is worse than other types, and the same goes for damage. Suffice to say you won’t regret being aware of the worst before bidding. Lingering tobacco smells and significant burn marks or tears in seating and upholstery can be unsightly and costly to repair. The same applies with animal odours and paint scratches. If you’re paying good money, you should receive a good product, so don’t hesitate in being nosy about the car’s insides. Always check under the car for leaks. Oil on the ground can indicate serious damage to the cylinder head gasket, requiring replacement of studs and bolts. Damage to the cylinder head gasket may also be indicated by build-up of a creamy-grey substance underneath the oil filler, to be revealed during your checks under the bonnet. You should conduct all the basic checks for essential components beneath the bonnet. That means checking oil levels on the end of the dipstick (darker brown and black colouration is a bad sign). Check the oil filler cap as well – whitish or creamy-grey deposits may indicate a poorly-maintained engine with a drastically shortened life expectancy. Don’t forget to also investigate power steering and transmission fluids where needed, which should be a red colour, not black. Remember: An auctioned car will usually not come with any kind of guarantee or warranty. What if I win the online auction? Once you’ve made the highest bid and the bidding closes, you’ll need to communicate with the seller about whether or not you intend to test drive or inspect the vehicle before paying. Ideally you will have discussed this before the point of winning. If you won the car on an eBay auction, you’re obliged by law to buy it and eBay requires deposit or payment within 72 hours of the successful bid. Make sure you have communicated fully with the seller throughout the bidding process, so they are expecting this. Otherwise you run the risk of having to buy a vehicle you have not test driven. If you do decide to buy the car, use PayPal or a credit card. PayPal is a secure payment system, so the seller does not see your financial details. A credit card comes with some consumer protection, but always check with your credit provider if you are unsure. Remember: PayPal’s purchase protection does not apply to cars. Neither does eBay’s own buyer protection. Buying anything online comes with an element of risk. If you do decide to purchase a vehicle through an online auction, do your research first, keep the lines of communication between yourself and the seller open and clear, and be prepared to be flexible when it comes to travelling to view or collect a vehicle. eBay has its own handy guide to buying a vehicle through their platform – read it here. ASM Auto Recycling Ltd. Online Auction is a great place to find used vehicles and can be inspected before you bid. Register to bid online now.